Go for a jaunt from Cairns to Palm Cove to see Palm Cove Beach about 32 minutes away. Spend the 8th (Thu) among aquatic life with a scuba or snorkeling tour. Spend the 10th (Sat) wandering through the wild on a nature and wildlife tour. The adventure continues: trek along Esplanade Boardwalk, admire the natural beauty at Munro Martin Parklands, let little ones run wild at Muddy's Playground, and enjoy some diversion at Esplanade Lagoon Pool. Use Inspirock's suggestions to plan your Cairns trip and find the best activities and attractions for your vacation. Madrid, Spain to Cairns is an approximately 26-hour flight. You can also do a combination of train and flight; or do a combination of bus and flight. You'll lose 9 hours traveling from Madrid to Cairns due to the time zone difference. When traveling from Madrid in August, plan for little chillier days and about the same nights in Cairns: temperatures range from 31°C by day to 20°C at night. Wrap up your sightseeing on the 11th (Sun) early enough to take a bus to Cape Tribulation. Spend the 14th (Wed) exploring nature at Daintree National Park. There's much more to do: identify plant and animal life at Daintree Rainforest - Cooper Creek Wilderness, get a new perspective on nature at Daintree Entomological museum, tour the pleasant surroundings at Myall Beach, and go for a walk through Marrdja Botanical Walk. To find more things to do and more tourist information, read our Cape Tribulation trip itinerary planner . Getting from Cairns to Cape Tribulation by bus takes about 3.5 hours. Other options: drive. In August, daily temperatures in Cape Tribulation can reach 31°C, while at night they dip to 19°C. Finish your sightseeing early on the 14th (Wed) to allow enough time to travel to Port Douglas. Spend the 15th (Thu) among aquatic life with a scuba or snorkeling tour. Spend the 17th (Sat) spotting exotic species with a safari tour. There's much more to do: relax in the rural setting at Hartley's Crocodile Adventures, get to know the resident critters at Wildlife Habitat Port Douglas, take in the exciting artwork at Des Spencer Galleries, and explore the gorgeous colors at Opal Reef. To see traveler tips, more things to do, reviews, and tourist information, you can read our Port Douglas visit planner. You can do a combination of car and ferry from Cape Tribulation to Port Douglas in 2 hours. Alternatively, you can take a bus. In August, daytime highs in Port Douglas are 31°C, while nighttime lows are 19°C. Finish your sightseeing early on the 18th (Sun) so you can travel to Brisbane. Step out of Brisbane with an excursion to Sea World Theme Park in Main Beach--about 1h 30 min away. And it doesn't end there: let little ones run wild at South Bank Parklands, take in nature's colorful creations at Roma Street Parkland, look for all kinds of wild species at Lone Pine Koala Sanctuary, and take in the spiritual surroundings of Nepalese Pagoda. 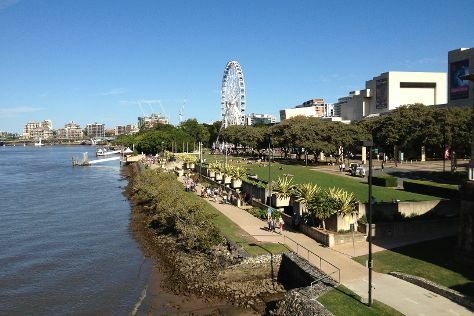 To see other places to visit, where to stay, reviews, and other tourist information, go to the Brisbane online trip maker . You can do a combination of shuttle and flight from Port Douglas to Brisbane in 6 hours. Other options are to do a combination of shuttle, flight, and bus; or drive. Traveling from Port Douglas in August, things will get a bit cooler in Brisbane: highs are around 25°C and lows about 11°C. Finish your sightseeing early on the 21st (Wed) so you can travel to Sydney. Sydney is known for nightlife, trails, beaches, parks, and museums. 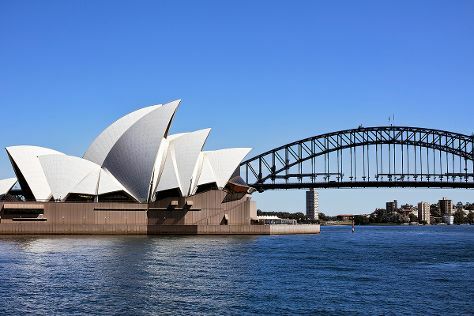 Your plan includes some of its best attractions: don't miss a visit to Sydney Opera House, wander the streets of The Rocks, admire the natural beauty at Royal Botanic Garden Sydney, and hunt for treasures at Sydney Fish Market. To see traveler tips, photos, other places to visit, and other tourist information, read our Sydney trip website . Getting from Brisbane to Sydney by flight takes about 4 hours. Other options: do a combination of bus and flight; or drive. When traveling from Brisbane in August, plan for slightly colder days in Sydney, with highs around 22°C, while nights are about the same with lows around 11°C. Cap off your sightseeing on the 26th (Mon) early enough to travel back home.